Papua New Guinea (PNG) lies to the north of Australia and is home to over six million people. It is one of the most culturally diverse nations on earth, with hundreds of languages spoken across the country. It remains a largely rural population with most people living outside urban centres and many still living within traditional clan structures. PNG is as diverse in its geography and is comprised of 150 islands, some with mountain ranges and highlands. Although PNG gained Independence from Australia in 1975, Australia continues to hold close ties and remains its largest donor of foreign aid. Despite recent economic growth from the mining sector and foreign aid programs, nearly one third of the population live in extreme poverty. 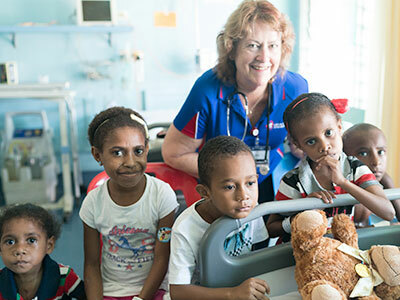 Open Heart International first began providing cardiac services to Papua New Guinea in 1993. Prior to then, no cardiac surgery was available across the entire country. A handful of cardiac patients were transferred to various Sydney hospitals to have surgery. Over time, the PNG project has become increasingly robust. More recently, the project has evolved to establish an independent cardiac surgery unit at Port Moresby General Hospital. As many as fifty Open Heart International volunteers visit annually. Talented experts in their fields, they provide training and support, particularly in surgery and post-operative care. As with every Open Heart International project, sustainability is key. 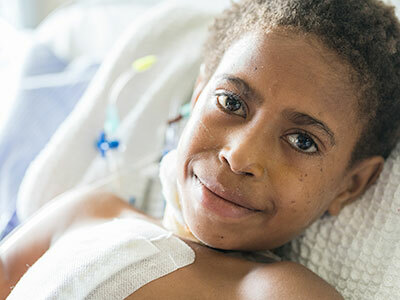 As a result, there are now PNG surgeons and anaesthetists who are able to provide independent cardiac surgery. A sustainable cardiac surgery service, led by PNG clinicians, is now within sight. Dr Liz Alok is a humble pioneer. She is the first female cardiothoracic surgeon in her home country of Papua New Guinea (PNG). 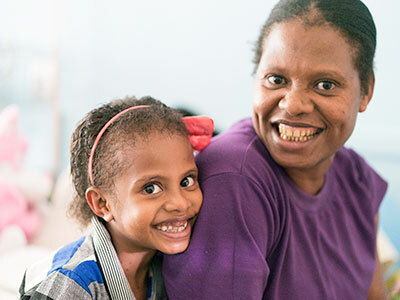 Despite enormous challenges facing women in PNG, Dr Alok has broken boundaries in her stride. She credits the high expectations and support provided by her parents for her success. With fondness she recounts the moment she fell in love with cardiac surgery; when she felt the gentle pulse of a heart beneath her palm, she knew her purpose was to become PNG’s first female cardiothoracic surgeon. Working alongside the surgeons of Open Heart International, Dr Alok has embraced many amazing opportunities to learn. She is forever grateful for the wealth of knowledge, expertise and support shown to her. In recognition of her skill and work ethic, Dr Alok was given the opportunity to join the Open Heart International team in Tonga, as the support surgeon for over 20 operations. She has even taken the lead in a number of cases alongside our Dr Ian Nicholson and Dr Bruce French, work requiring energy, passion and focus. Open Heart International will continue to train the talented surgeons, doctors and nurses of PNG. 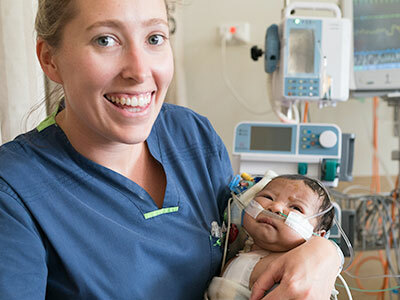 With your generous support, our dream of a self-sufficient cardiac service in PNG becomes closer with every visit.